Everyone will love this Peanut Butter and Jelly Smoothie. Packed with Greek yogurt and flavored milk, customize this recipe with your favorite flavors. This recipe is sponsored by the American Dairy Association, Mideast. I happy to be working with them again in 2017 to bring you delicious dairy recipes! There was big news in our home last month. After 6 years MY SON IS NO LONGER ALLERGIC TO PEANUTS! Of course now I have to force peanuts on him since he hates the flavor. Can you imagine hating peanut butter?! Well the one time he accidentally ingested it as an infant he had an allergic reaction and he hasn’t had a drop of peanut butter or peanut protein at all for 6 years. So it’s understandable for him to be squeamish. Enter this Peanut Butter and Jelly Smoothie- WIN! 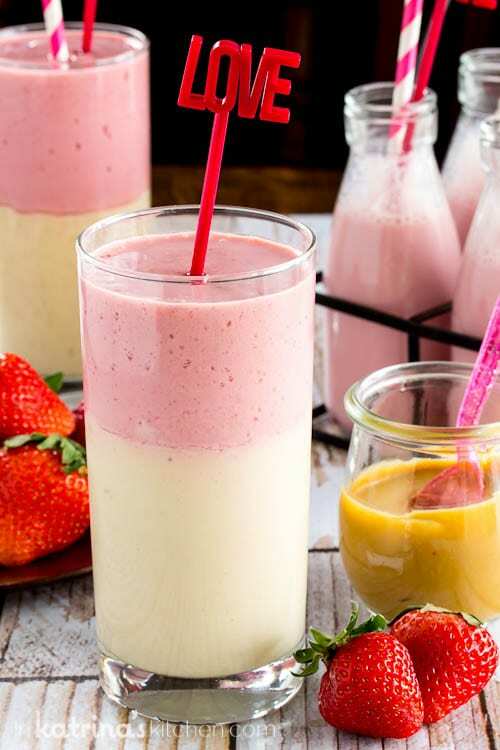 Sweet and healthful and filled with lots of protein from peanut butter, Greek yogurt, and strawberry flavored milk, this smoothie is a kid tested and mom approved. 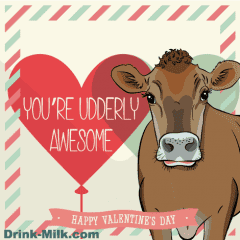 You can celebrate Valentine’s Day with a glass of strawberry milk, the rose-colored love potion you can feel in your bones! Does it come from pink cows? No, but it does have the same 9 essential nutrients as white milk. Now that’s something to love! 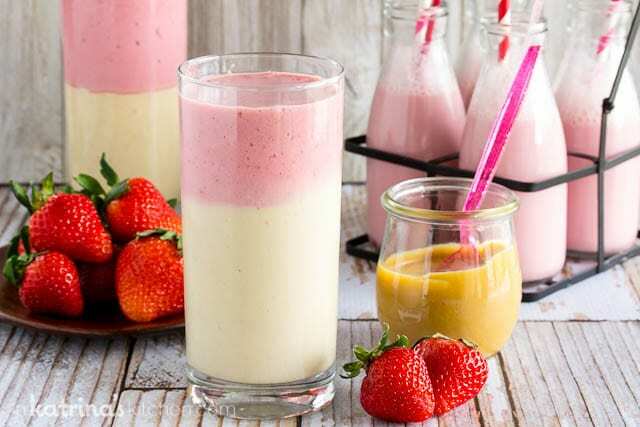 This layered smoothie is almost too pretty to eat, but you don’t have to layer it. Feel free to add all of the ingredients at once using your high-powered blender. Just be aware that if you blend it all at once, you may need to bump the milk up to 1/2 cup (instead of 1/3 cup) and start with the liquid on the bottom so you don’t clog your blender. Connect with the American Dairy Association on Facebook, Twitter, and Instagram. Everyone will love this Peanut Butter and Jelly Smoothie. 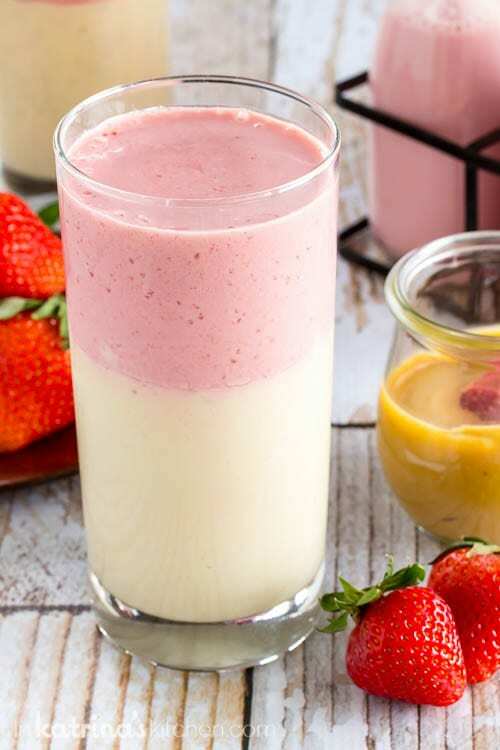 Packed with Greek yogurt and flavored milk, customize this recipe with your favorite flavors! Combine frozen banana, peanut butter, Greek yogurt, and vanilla extract in a high-powered blender until smooth. Pour into a glass; set aside. Combine frozen berries, Medjool date (or other sweetener if using), and strawberry milk in a high powered blender until smooth. Pour over the peanut butter layer. Enjoy! If your banana or berries aren't frozen add 3-4 ice cubes for thickness. Pitted Medjool dates are perfect for adding natural sweetness to smoothies. If you do not have these on hand you can omit or add your preferred sweetener (1 Tablespoon honey, agave, stevia, or berry jelly are some suggestions). 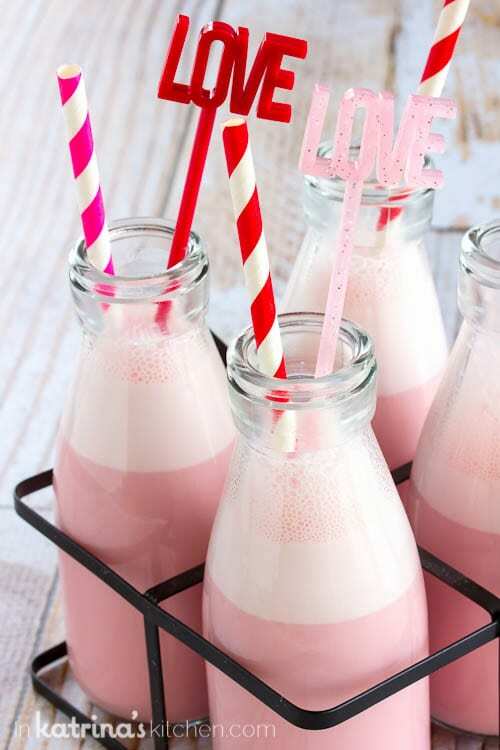 May substitute plain white milk if desired for strawberry milk. We make PB&J smoothies all the time but they aren’t nearly as cute as yours!!! Love this so much! These are SO cute!!! Plus, I LOVE the Peanut Butter and Jelly combo! PB and J for the win!!! I would take this over a rich dessert any day! Oh yeah, this is my kind of smoothie! I can’t wait to add this to my daily smoothie rotation. Looks wonderful! Great idea for hearts day. 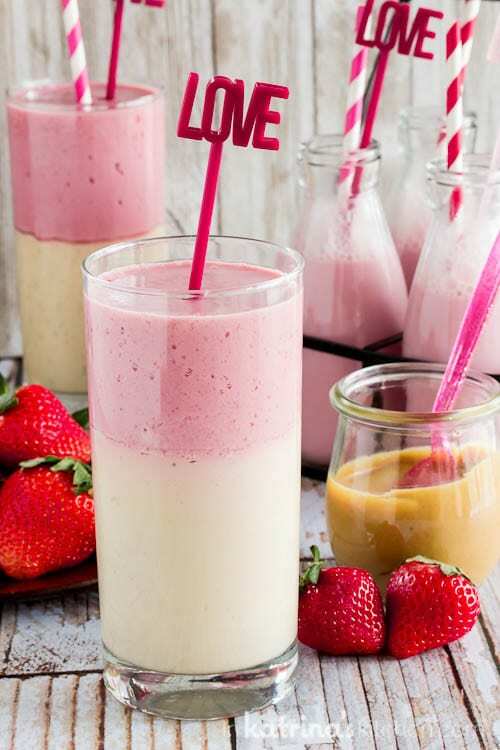 Love the layers going on in this smoothie! Such a pretty presentation! And the BEST flavor combination! I just love this smoothie! Such a fun idea! These are lovely!!! I think I’m going to have to make them this week!! This looks Amazing!! I’m not usually a fan of peanut butter so I may try it with almond butter – do you think it’ll work? Looks yummy! How did you manage your son’s peanut allergy? How did you know that it’s already safe to give him peanuts? My son has the same allergy. 🙁 Any tips? Congratulations to your son! He can try it later! Always good to have an extra shot of protein too, thank you for this!